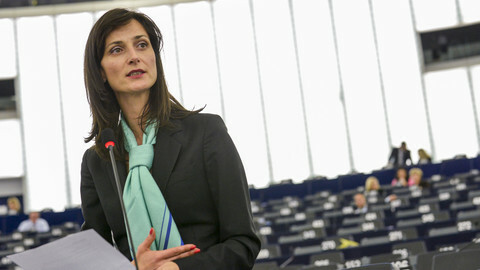 European Commission president Jean-Claude Juncker’s decision on Tuesday (16 May) to allocate the digital economy and society portfolio to possible future EU commissioner and current MEP, Mariya Gabriel is both positive and long-awaited. From the digital sector, to gender equality, to Bulgaria’s role in Europe – the nomination and portfolio allocation is apt and worthy of support. First of all, the decision is good news for industry. 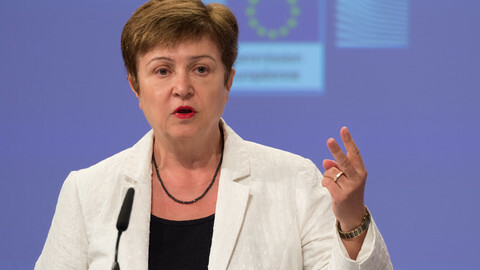 Much of the digital sector has been searching for a serious and reassuring interlocutor since the resignation of the former Bulgarian commissioner, Kristalina Georgieva, some 7 months ago. 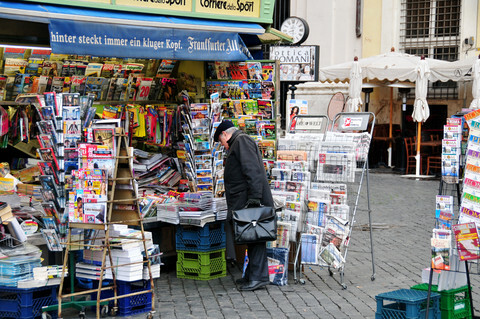 This led to her budget portfolio being given to Guenther Oettinger – which left the digital portfolio largely vacant. For months now, the unoccupied position has led to criticism and caused some embarrassment for Juncker, who has to deal with the tragedy of Brexit and the EU's weak economic growth. Bulgaria has finally moved towards the right pick for the job. Gabriel will have to work on the legislative proposals presented over the past two years, while preparing ambitious new proposals to complete the digital single market. 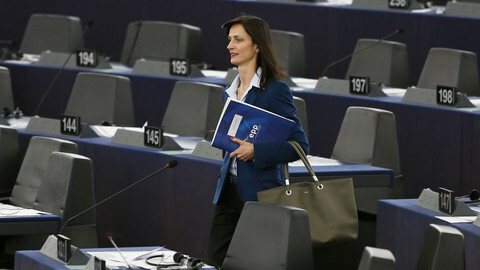 She will have to master legislative files and digital initiatives, such as the e-commerce package – which also deals with geo-blocking, the e-privacy regulation, the general data protection regulation, the European cloud initiative and Wifi4EU – in order to successfully navigate her upcoming European Parliament hearing. Gabriel will be expected to develop and implement measures to make Europe more trusted and secure online, boost public and private investment, and develop creative industries. Her task will also include continuing to promote a sustainable business model for Euronews, contributing to successful European innovation stories, and rendering the EU administration more open and effective by use of digital technologies. She will have to empower European workforce and consumers for the digital era and embark on legislative and non-legislative initiatives to allow the non-personal data economy to thrive. 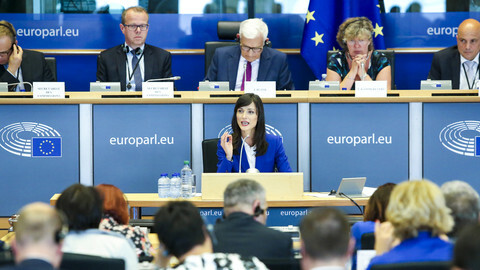 Gabriel is well-connected and well-placed to tackle borders within the digital single market, as she has done for the Schengen area as an MEP. Furthermore, the digital dossier is likely be given high priority during the upcoming Bulgarian presidency of the Council of the EU (January until June 2018), with Gabriel in place to lead the digital sector at EU level. The portfolio is a tough one and Gabriel has already been criticised for her lack of experience in the area. Oettinger was also given a hard time whilst trying to convince the European Parliament and the Brussels bubble of his skills in digital affairs. However, based on the outcomes, no one would seriously doubt his diligence in negotiating a proper regulatory framework for the digital future of the EU. Similarly, Gabriel is known for her hard work in the parliamentary committees on civil liberties, justice and home affairs (Libe), foreign affairs (Afet), women’s rights and gender equality (Femm), and human rights (Droi). The two-term MEP was the centre-right EPP group's coordinator and rapporteur on 22 important dossiers. For this reason, the 37-year old was nominated as one of the top 25 most influential MEPs, ranking 15th in the VoteWatch list of all 751 MEPs last year. She also won the Parliament Magazine’s MEP award for her work in gender equality and development. Therefore, her nomination seems to be good news for the European Commission. Commission vice-president Andrus Ansip will probably be relieved to have someone in place to relieve the burden. Ansip had been obliged to temporarily cover the vacant post, in addition to his responsibility to coordinate key files, work with commissioners, the EU parliament and the Council on several important proposals in the digital area. 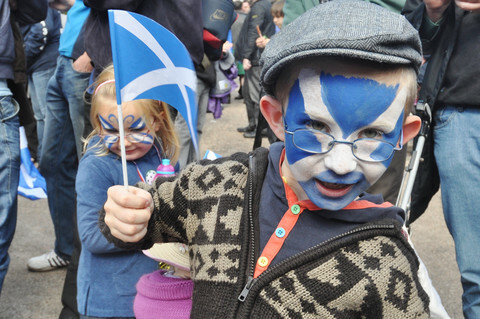 It is also good news for the European Parliament. 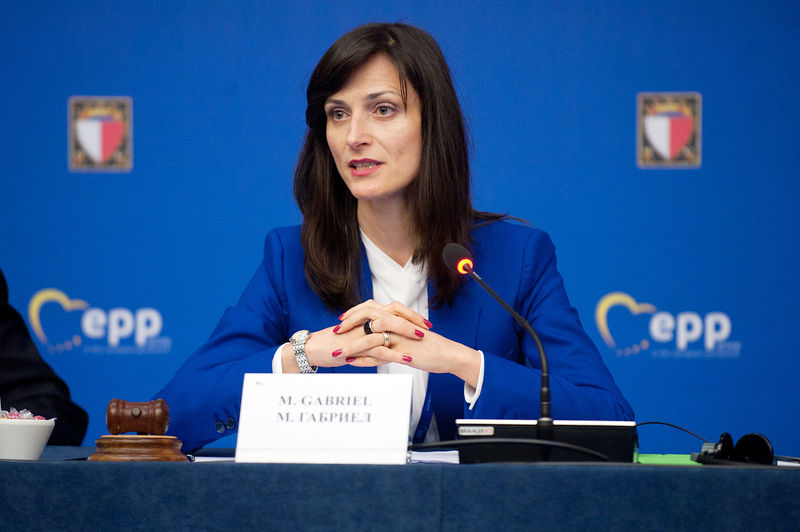 Gabriel will be able to bring some dynamism to relations between the EU institutions, as she did when she was rapporteur for the recent Georgia and Ukraine visa waiver legislation. Her nomination is good news for Europeans, too. Gabriel is part of the future of Europe, with her multicultural and open-minded traits. In times of rising populism and euroscepticism, a strongly committed European is a boost against this wave. In 2012, she was elected vice-president of EPP women, which is an association dedicated to the advancement of women in the EU. Her struggle for women’s rights sends a strong message on gender balance from Bulgaria – the only EU country that has never had a male commissioner. If her candidacy is approved during the hearings in the various committees of the EU parliament, and by the Council, Gabriel could greatly contribute to refreshing the EU project in the digital sector and beyond. Eli Hadzhieva is a Bulgarian independent blogger and a former parliamentary attaché at the European Parliament. She is now heading the EU Affairs of a German consultancy specialised in the digital sector. MEP Mariya Gabriel has been proposed by the Bulgarian government as the country's EU commissioner after a six-month delay. The centre-right leader will need to find partners in order to become prime minister for the third time. 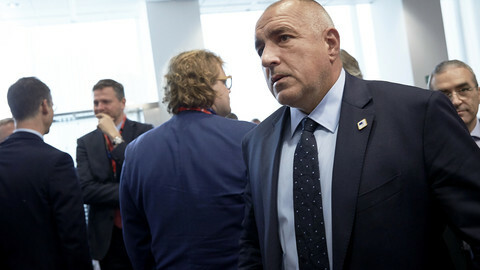 Sunday's general elections will be a test for the country's relations with the EU, Russia, and Turkey, as well as for the political future of former leader Borisov. Mariya Gabriel, a Bulgarian MEP, is designated to take up the EU commission's digital affairs portfolio, although she has little experience with that file. Outgoing MEP Mariya Gabriel made mostly general remarks about the need to “complete the digital single market”, but did not bump into any trouble.